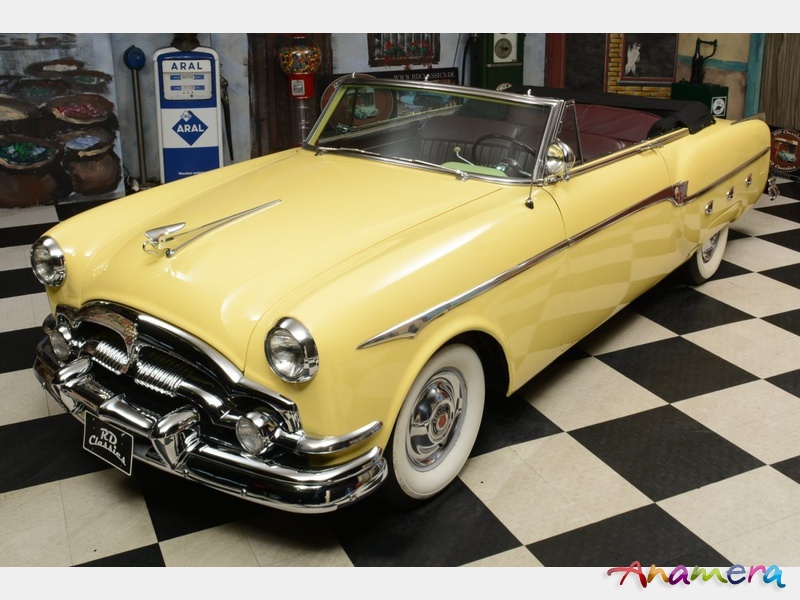 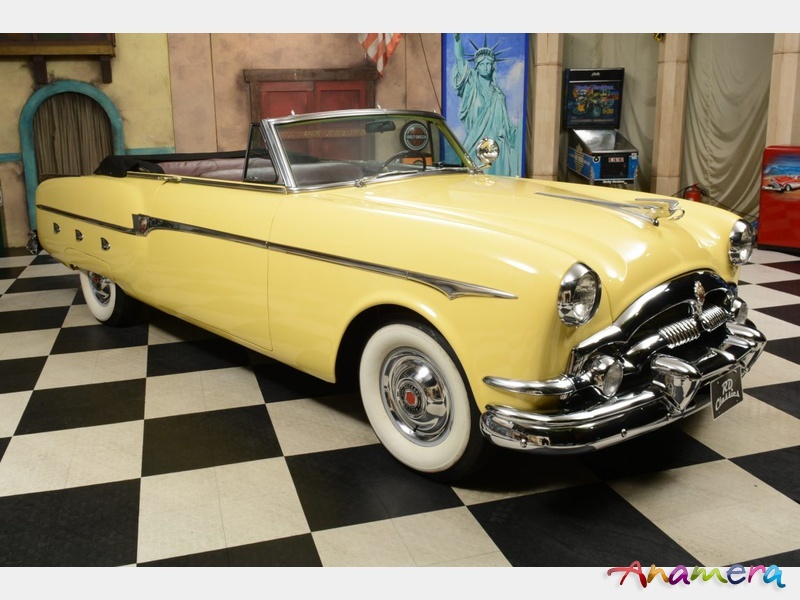 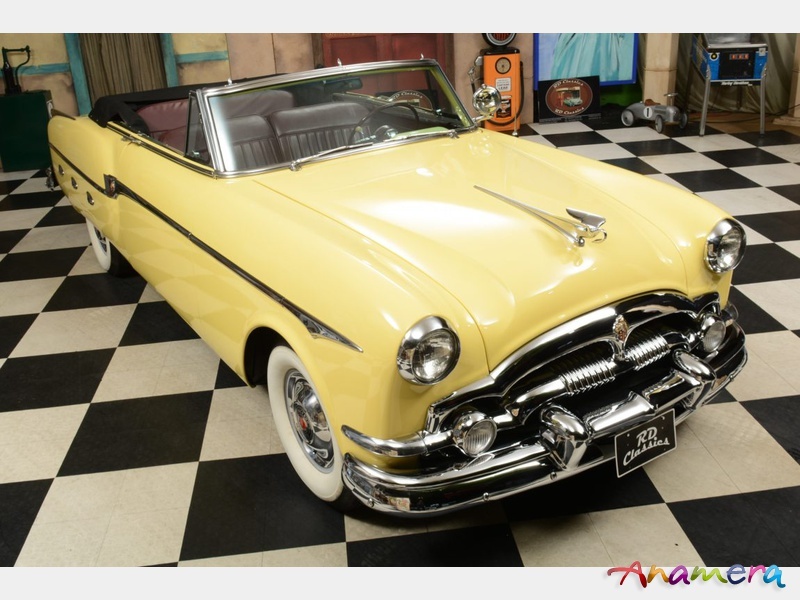 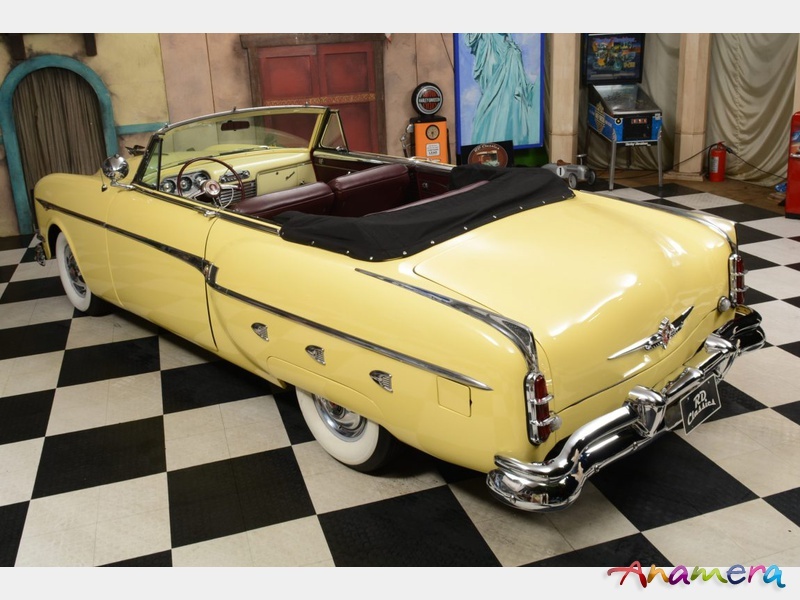 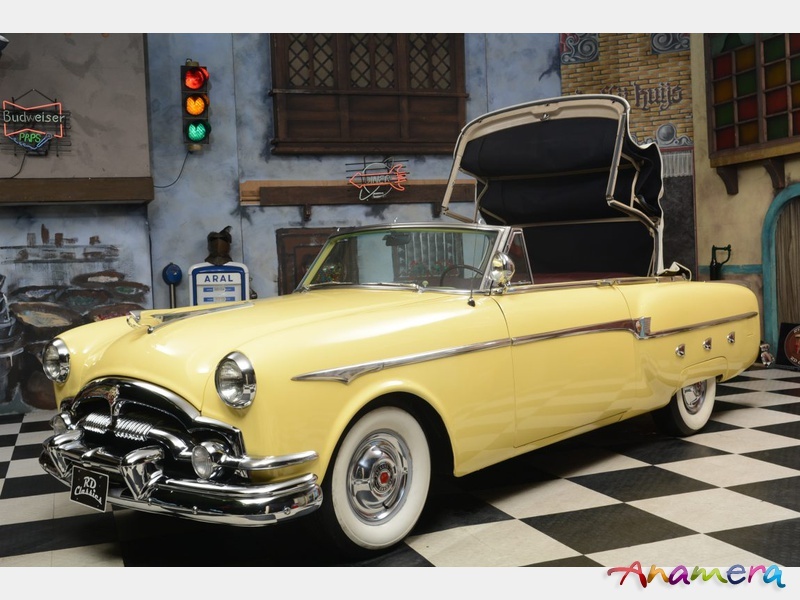 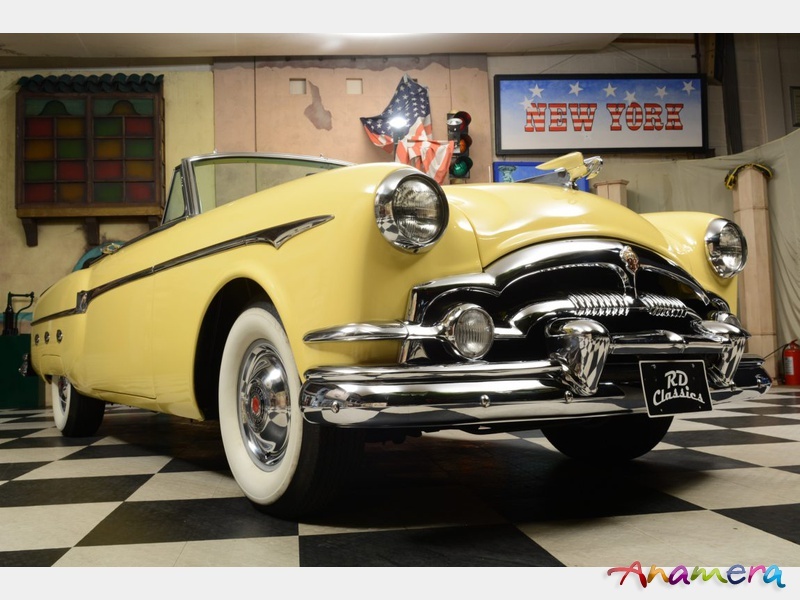 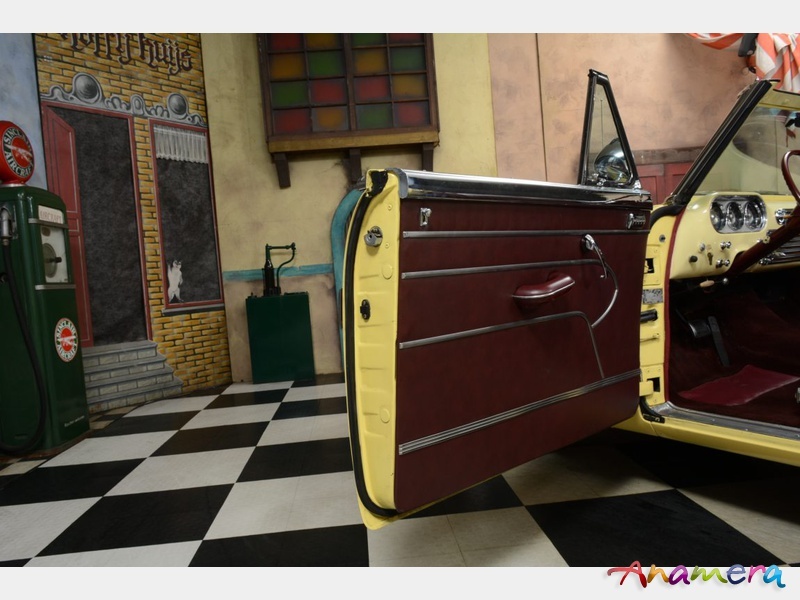 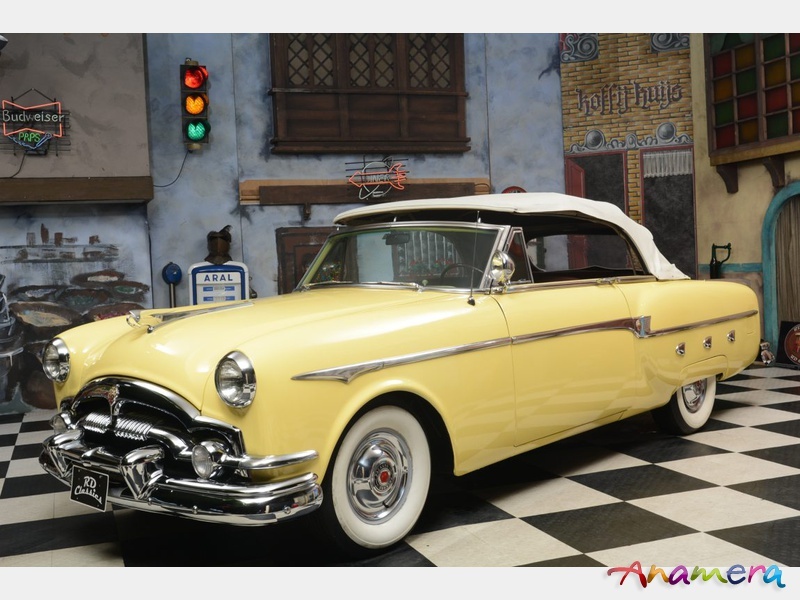 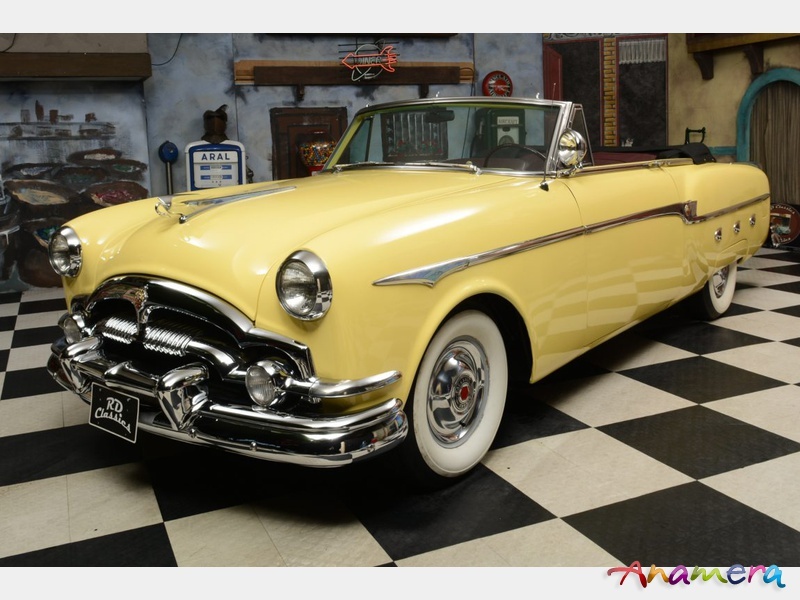 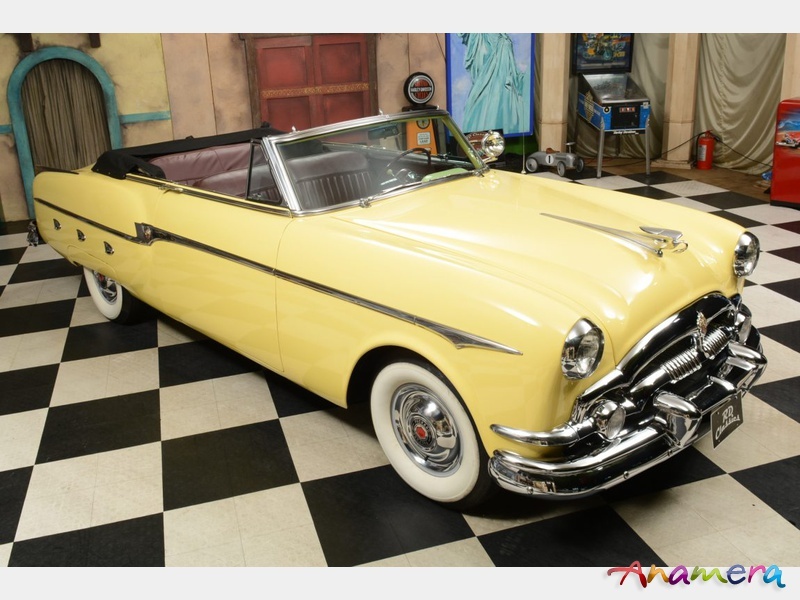 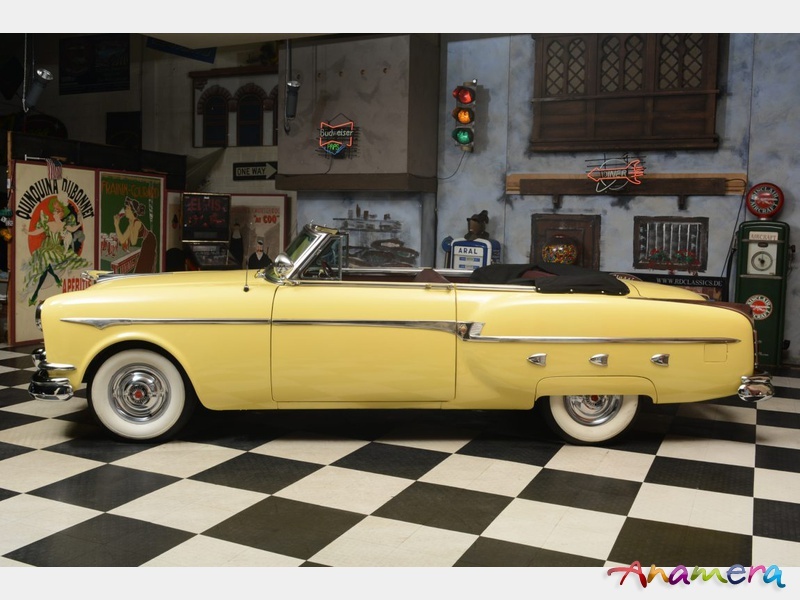 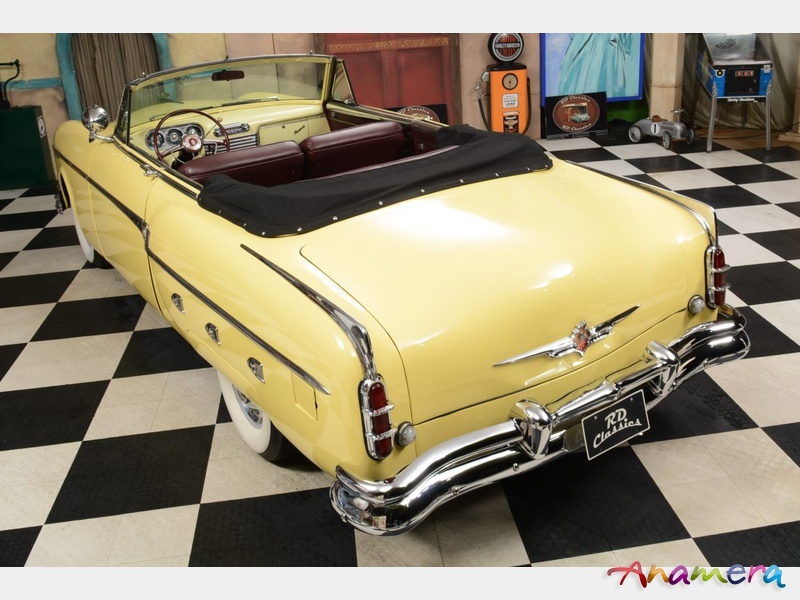 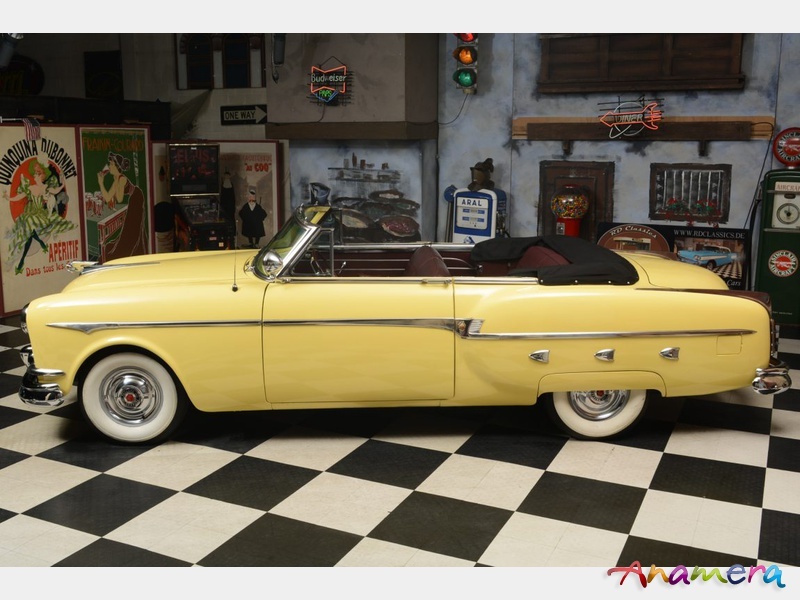 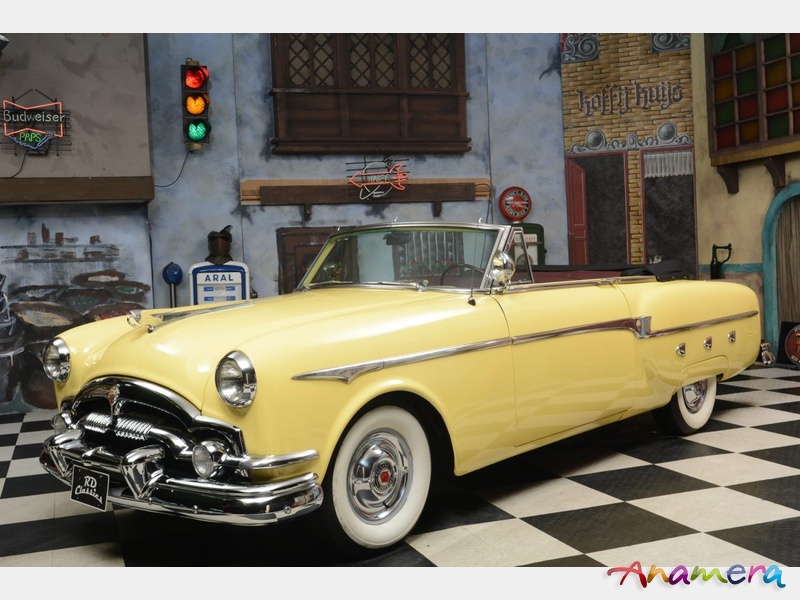 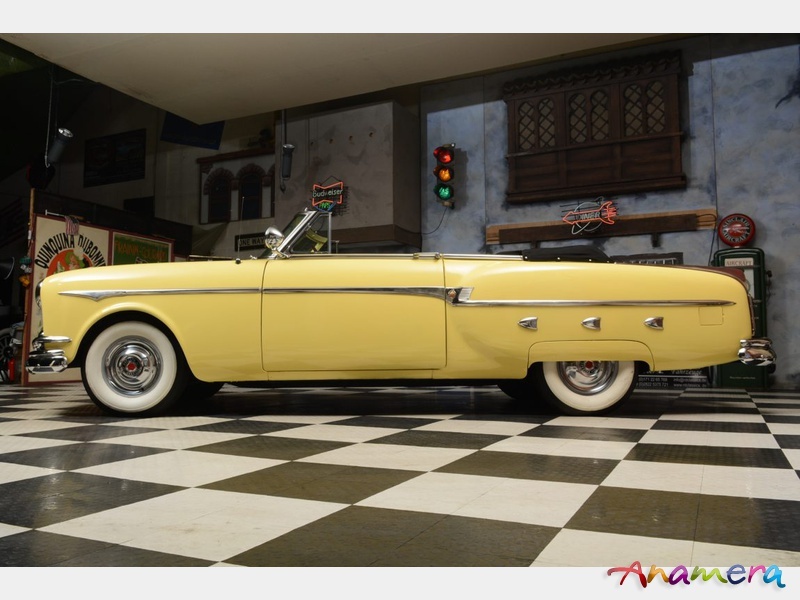 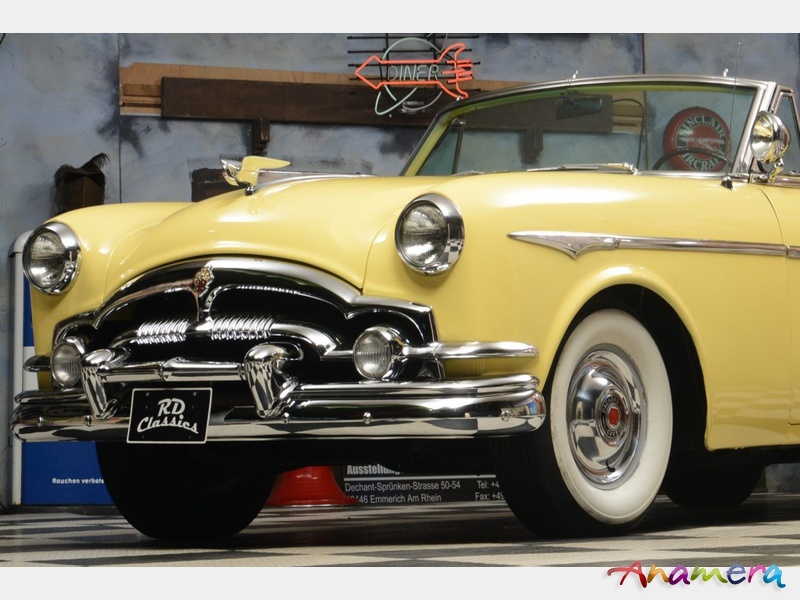 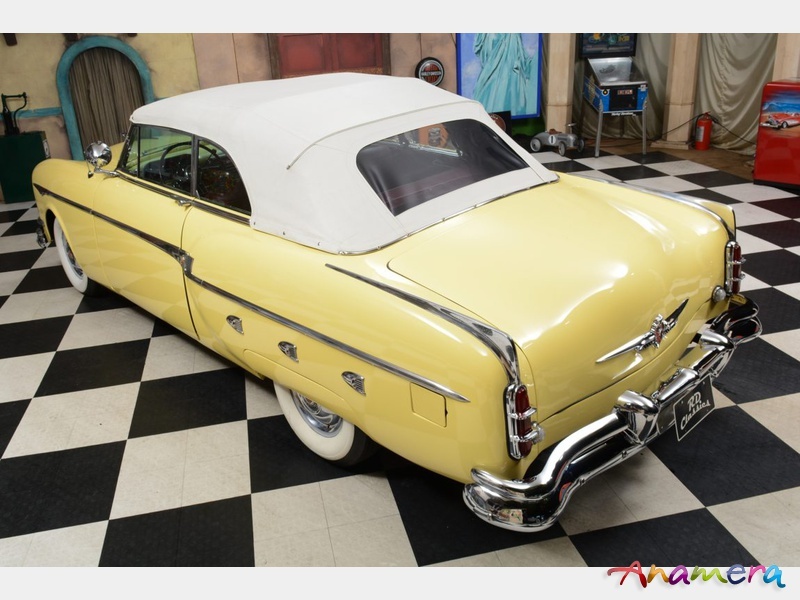 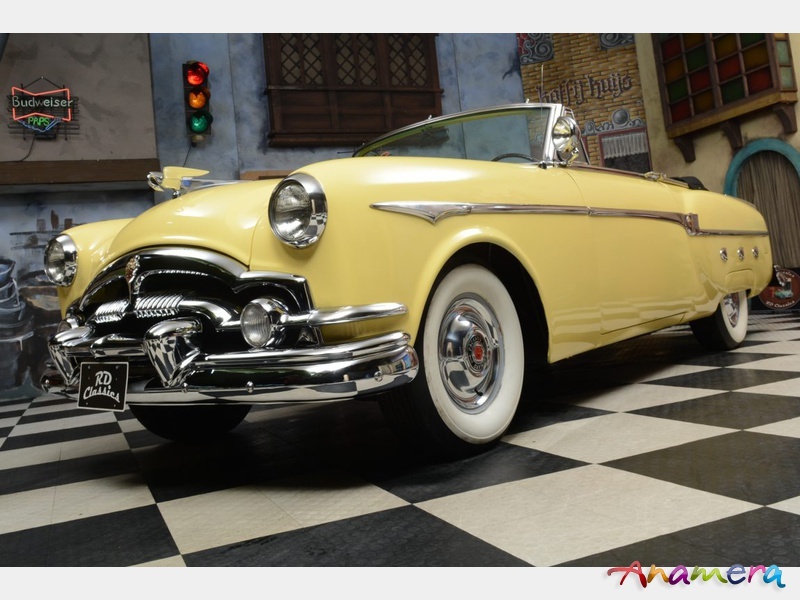 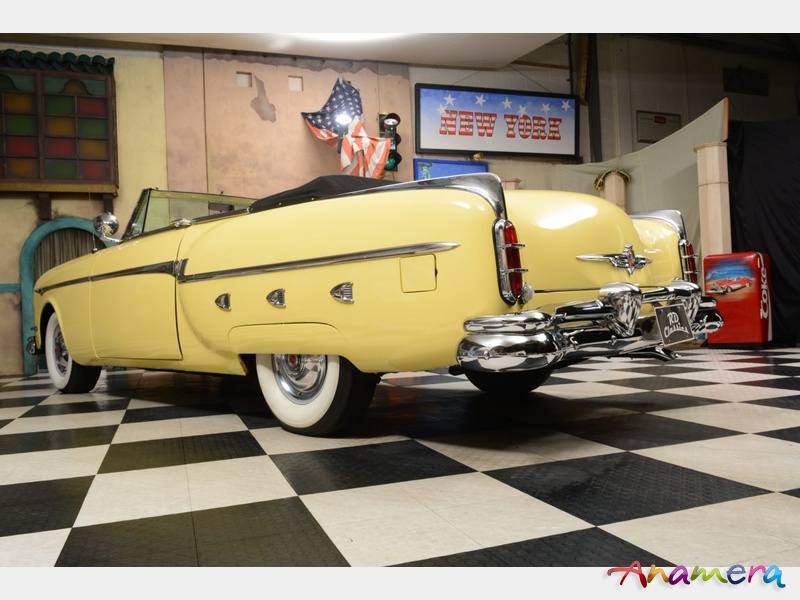 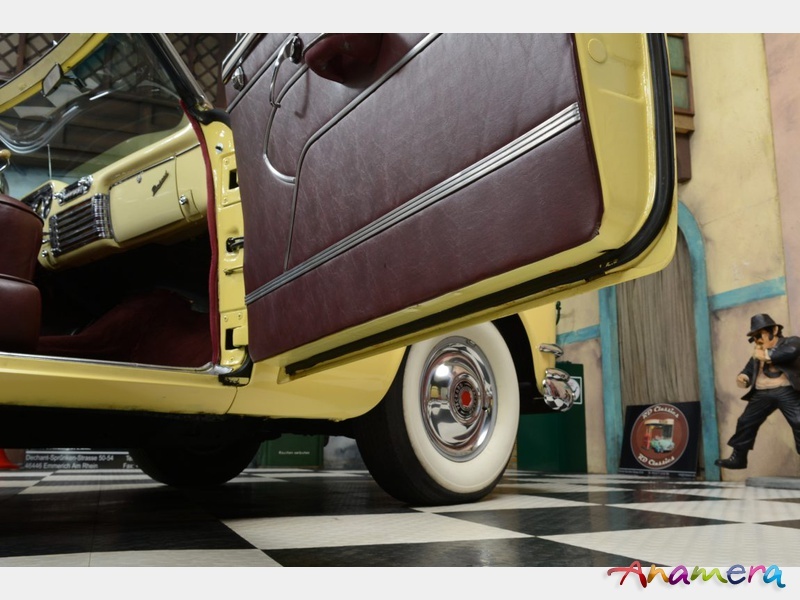 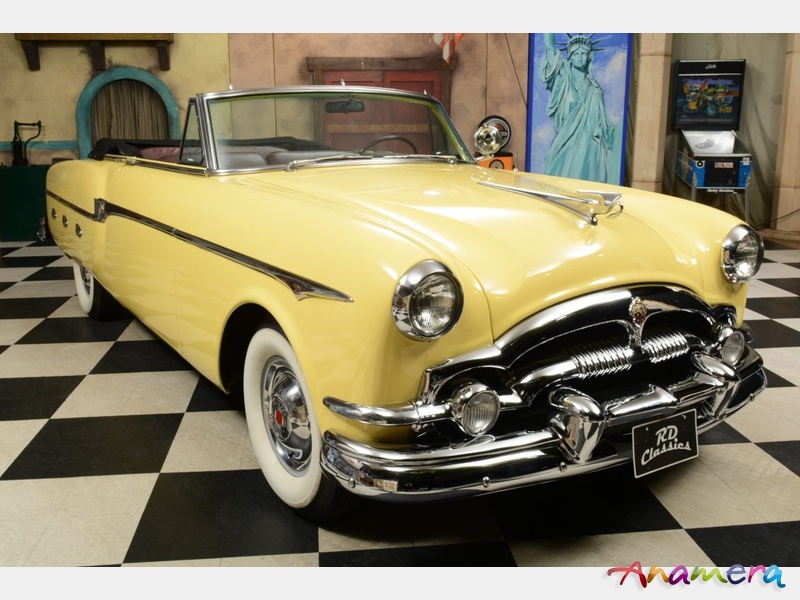 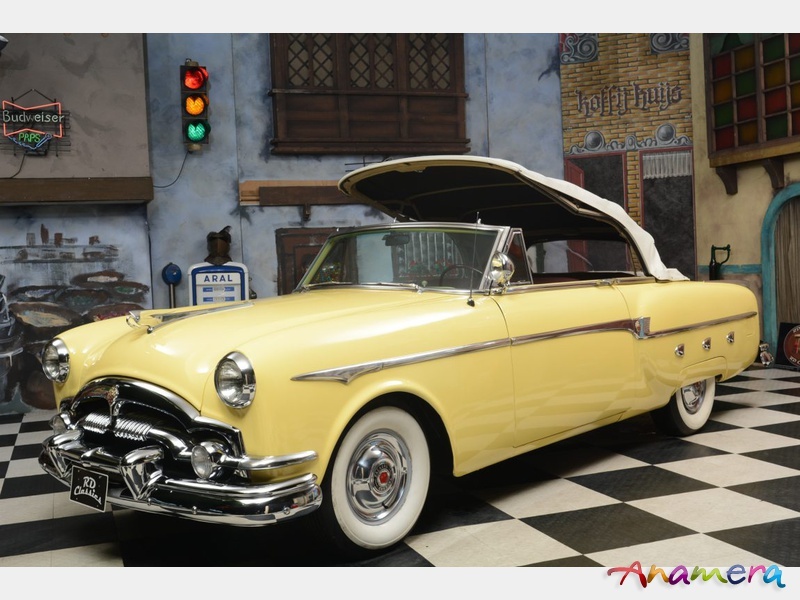 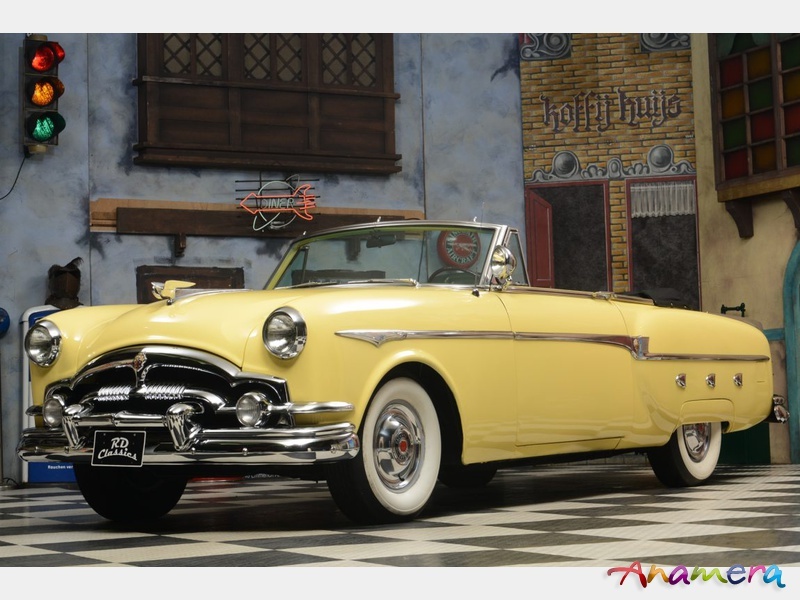 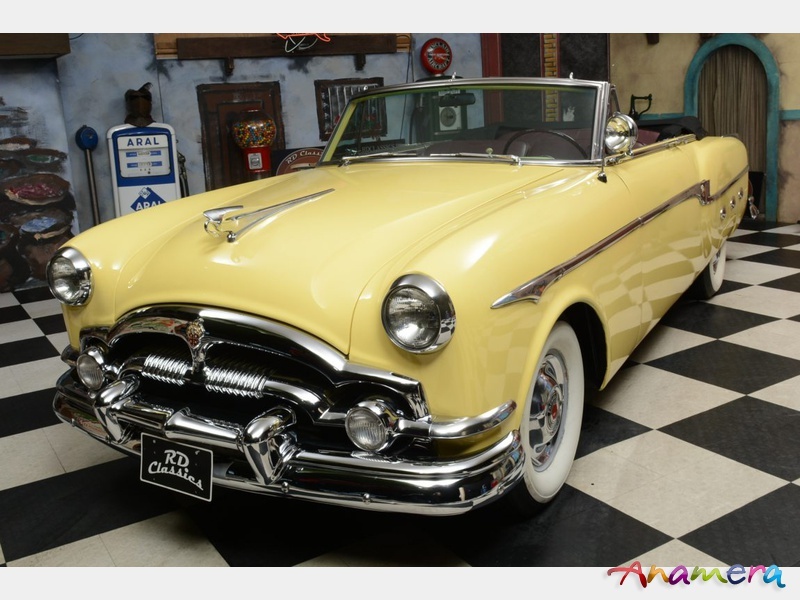 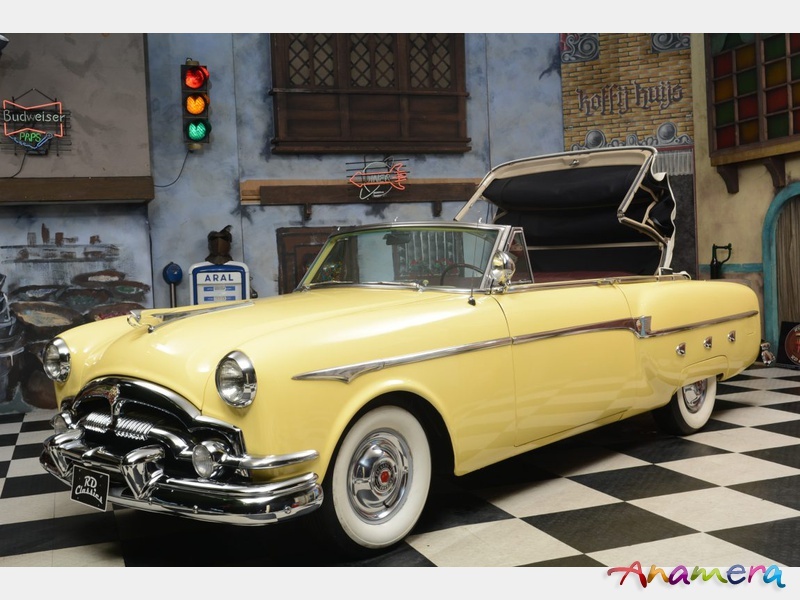 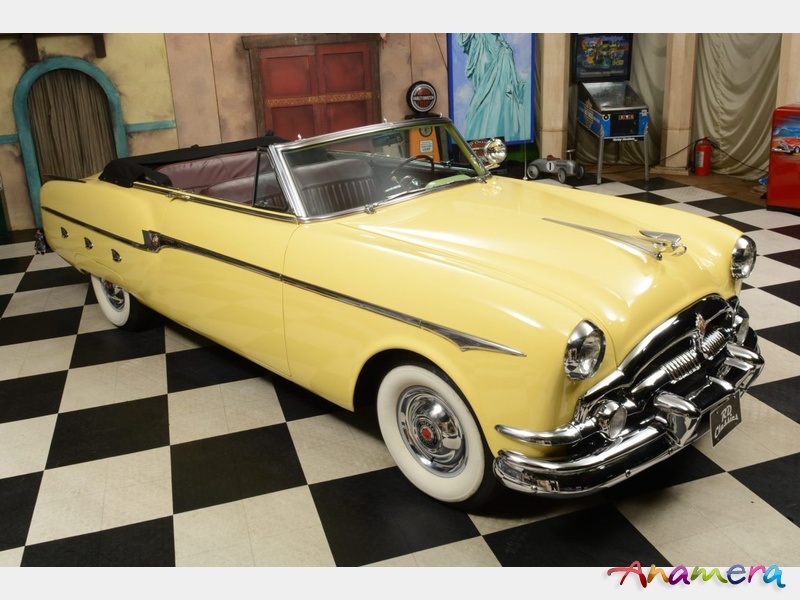 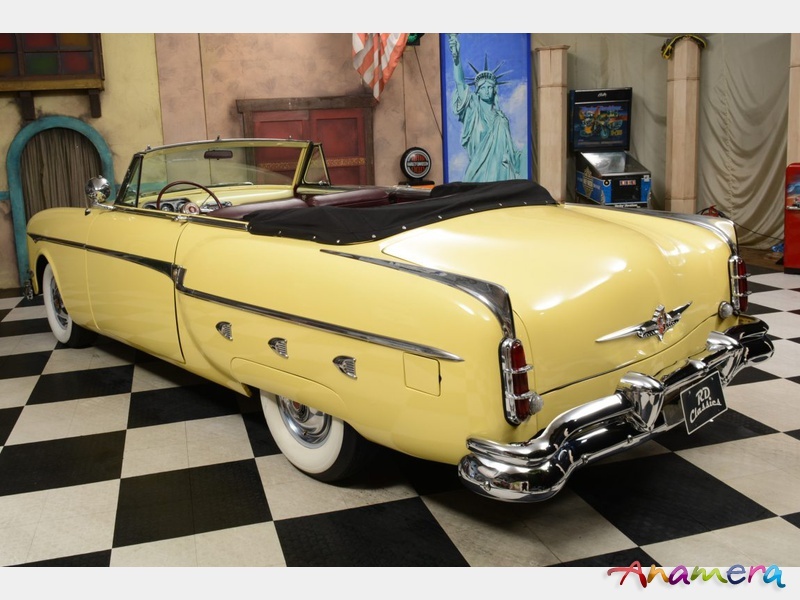 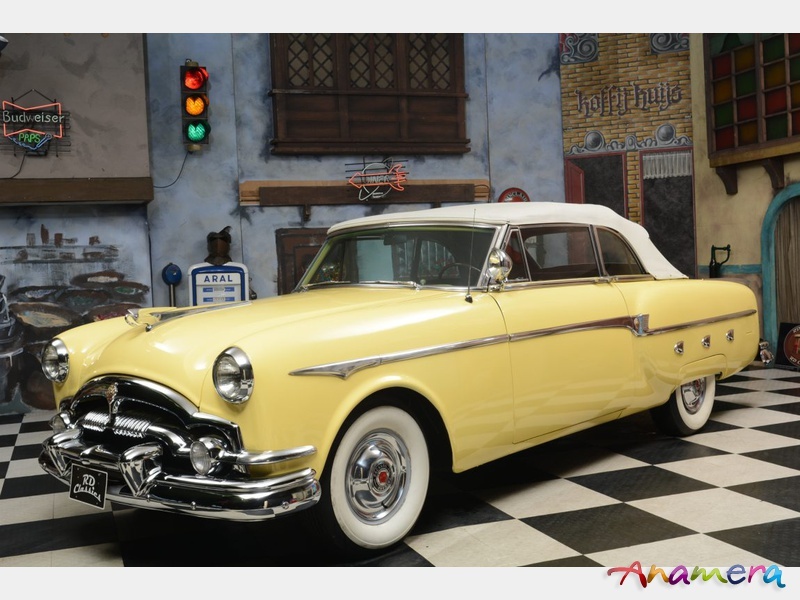 1953 Packard Series 2631 Convertible / Sehr Selten! 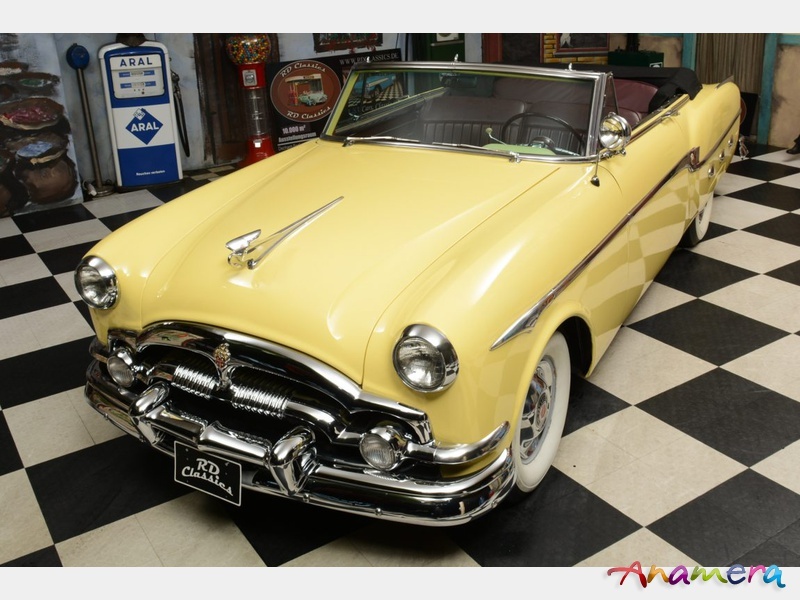 This beautiful and elegant Packard is truly something remarkable. 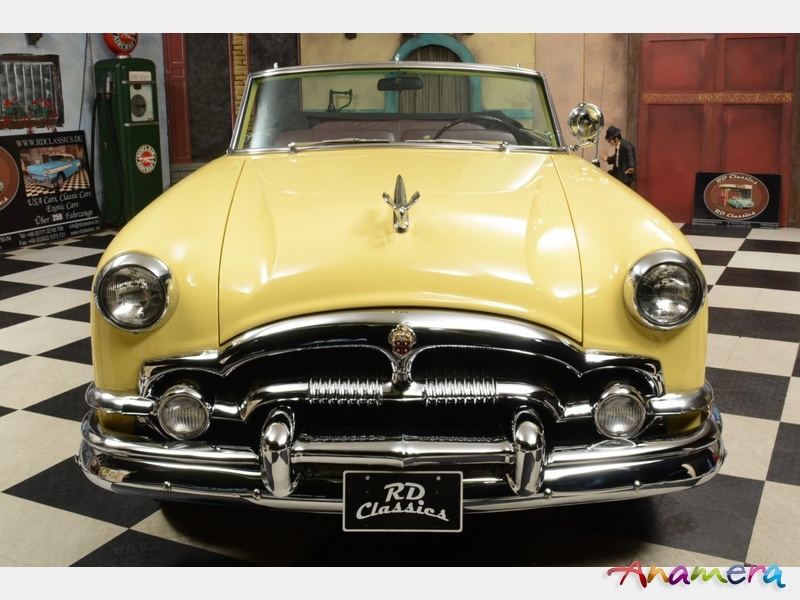 The Packard has as it should be for a 50's car a lot of chrome accents and the typical round forms. 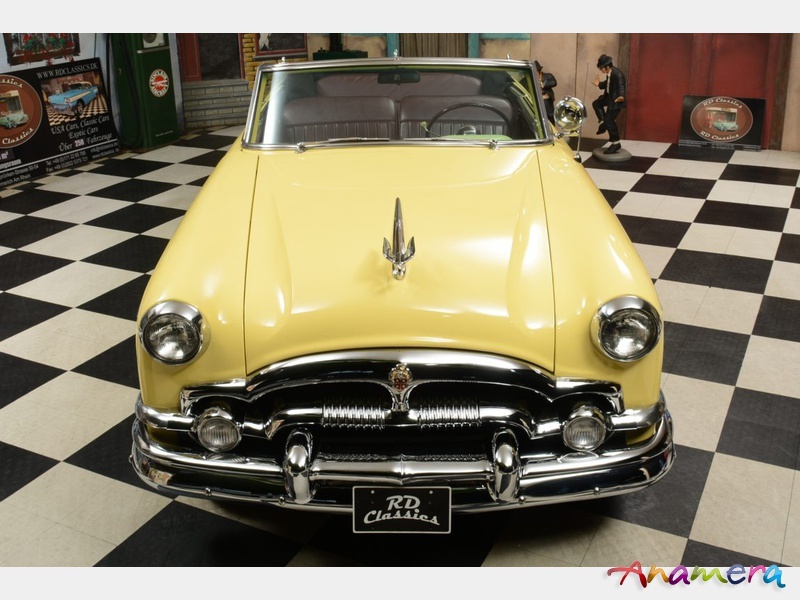 The Packard was in his day a absolut top of the line model from the luxury class. 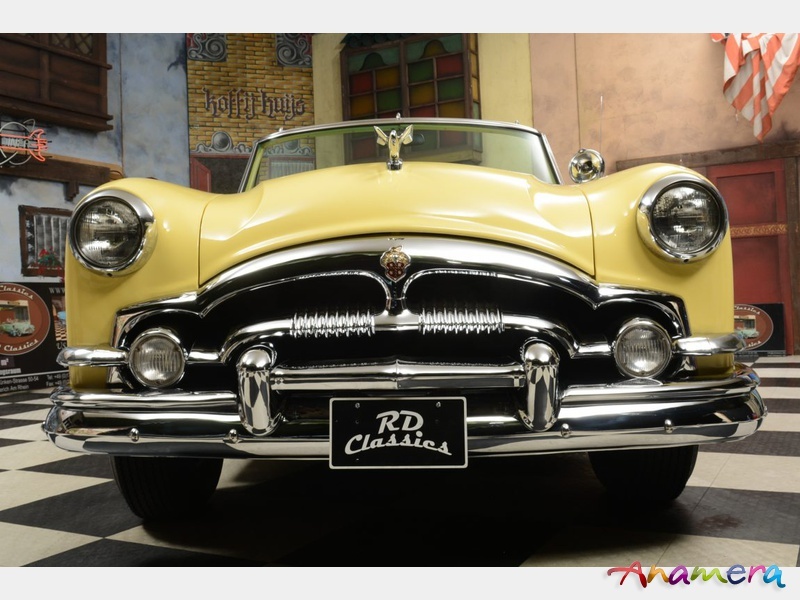 It drives better than a Rolls Royce and has more luxurious equipement such as hydraulic windows, power steering and hydraulic seats. 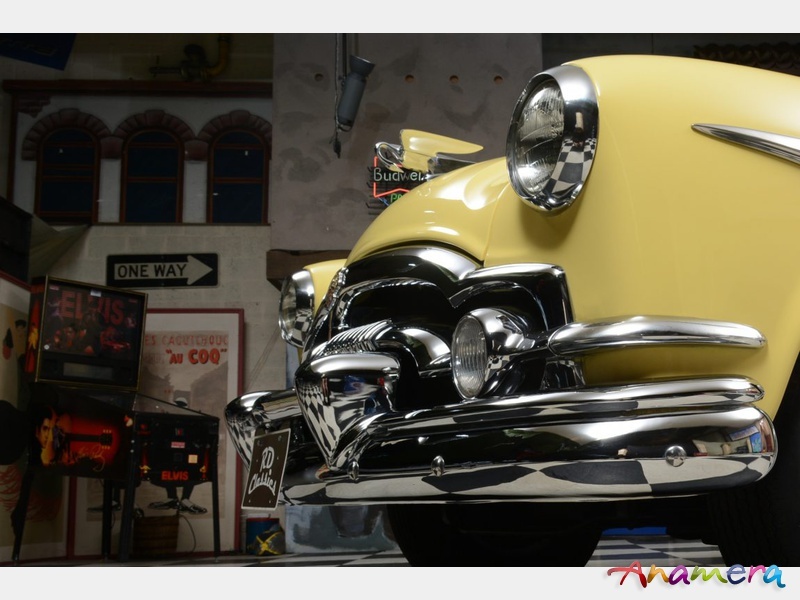 The beautiful paint is in a very good condition with a great shine to it. 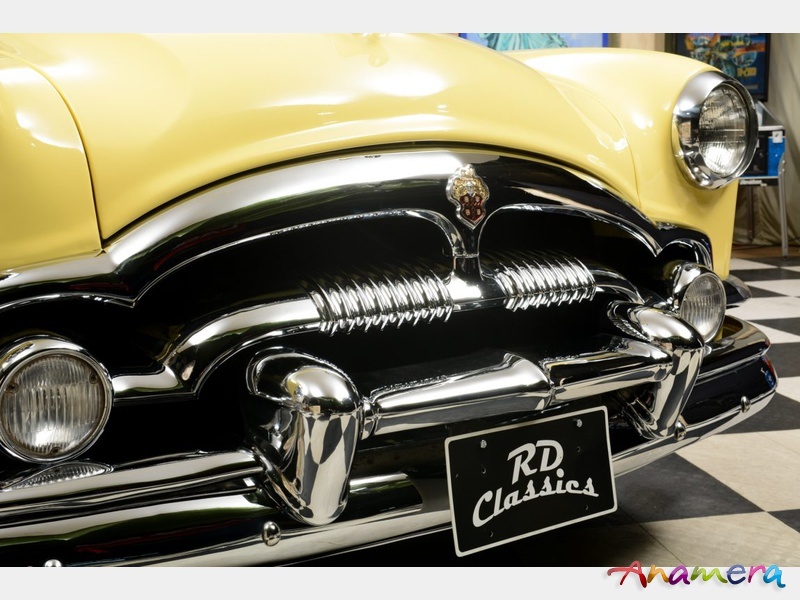 The many chrome details are in a very nice condition and shine bright. 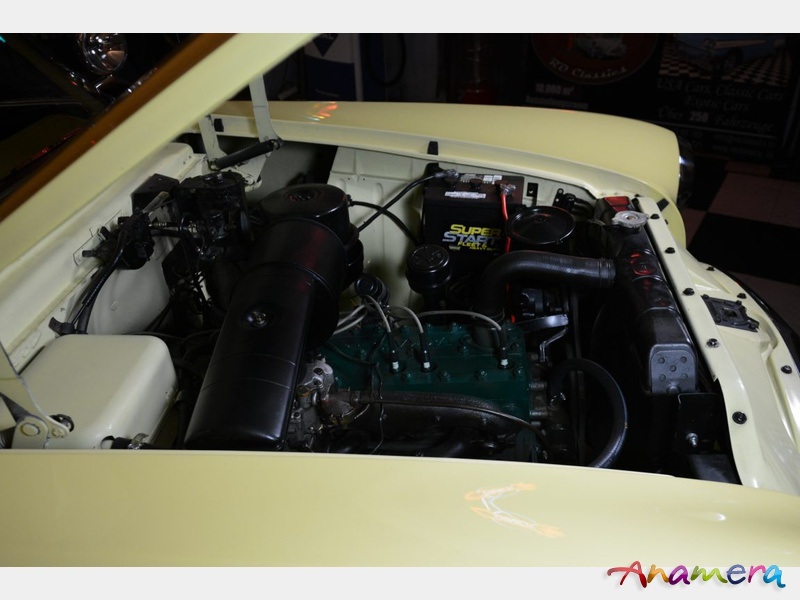 The 8 cilinder engine runs great and the automatic gearbox shifts excellent. 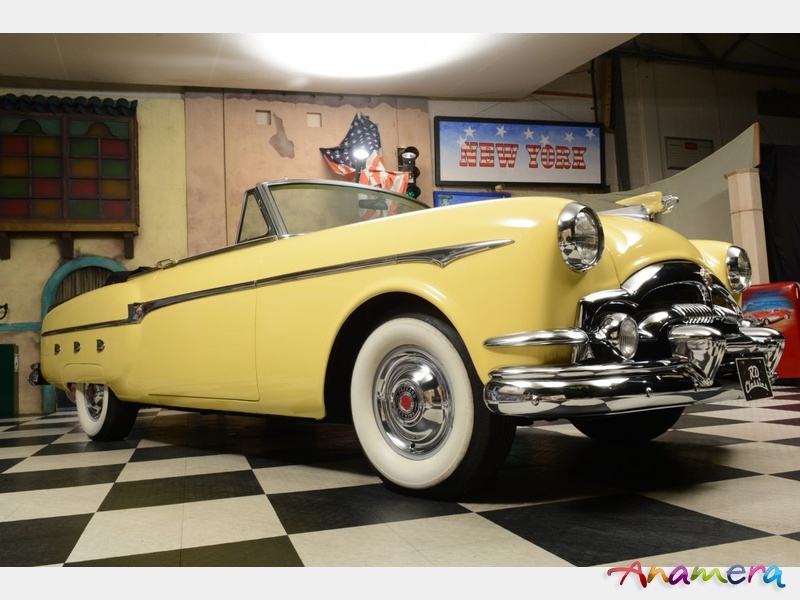 The matching white convertible top is in a very good condition and the hydraulics work perfect. 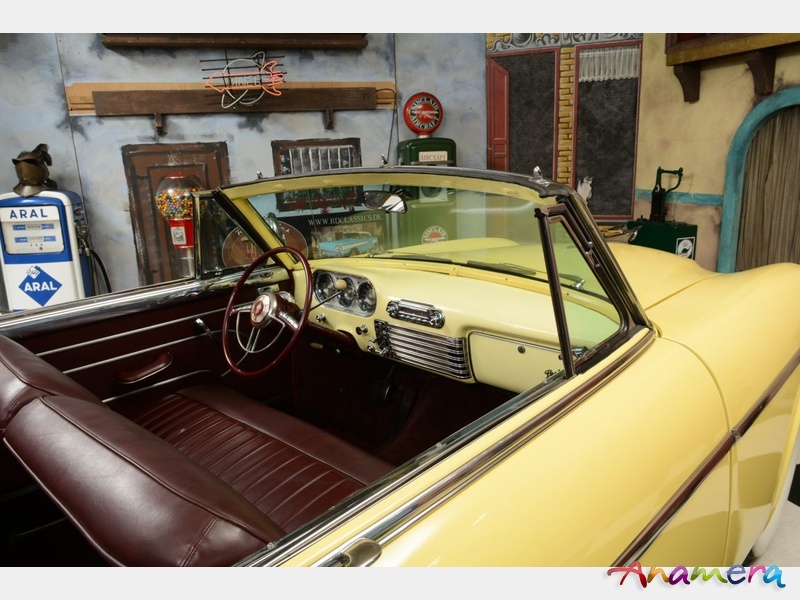 The elegant red interior is in a very good condition. 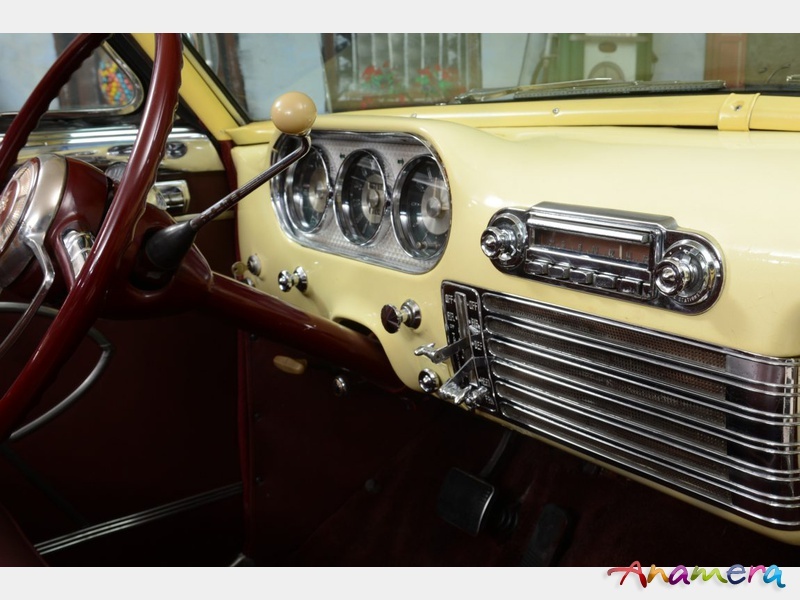 The dashboard with clear gauges, the chrome details, the carpet and the door panels are all in a good condition. 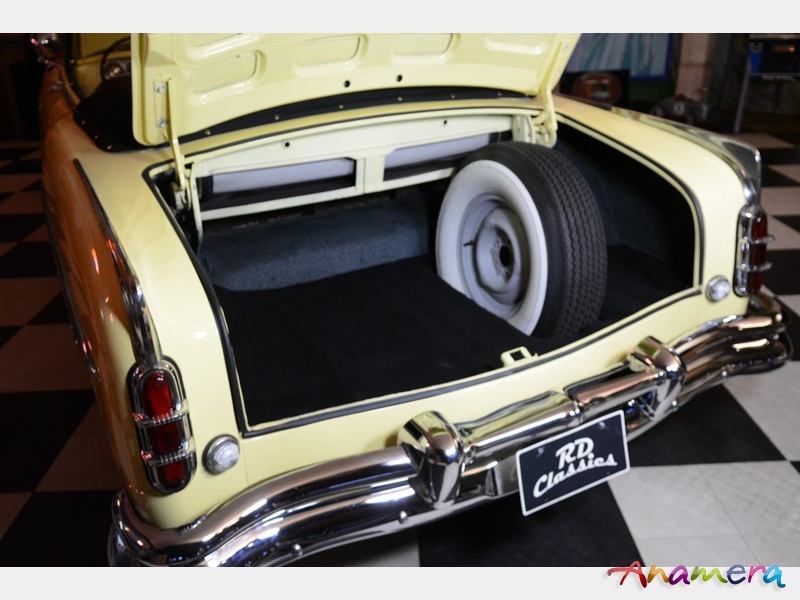 The trunk is also in a good condition and has the original spare tire.